Home Introduction Story People Purbeck Stations Exhibition Memorial Trust More.. The aim of this section is to give some signposts to further sources of information about early radar development. Such a huge amount has been published that it is only possible to scratch the surface here. The hope is that these web pages will help you find some leads to your particular area of interest. Introduction This page! - introduction to the 'More..' section. Books Lists of books comprising downloadable reference lists, and a collection of recently available titles on a separate web page: book list. Library The Purbeck Radar Reference Library is held in Swanage, UK. These pages explain how to view these reference books with a list of the reference books in the collection on a separate web page. 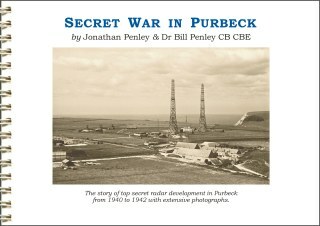 Links Links to other websites related to early radar development as well as relevant websites in the Purbeck area. Publications Publications (DVD, booklets etc.) 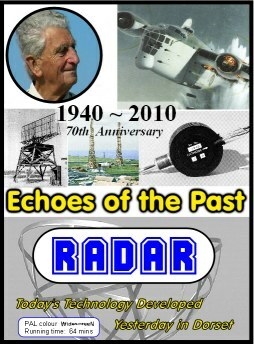 available from the Radar Trust with details of how to obtain them - see thumbnails below. 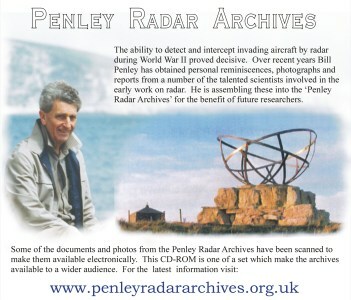 Penley Radar Archives Reminiscences, commentaries, letters etc. 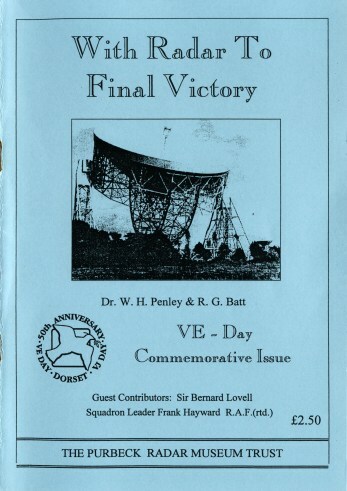 by some of the wartime radar researchers which were collected by Bill Penley. Tens of thousands of papers here!! A number of the key radar researchers deposited their personal papers at the Churchill Archives Centre. For some of these contributors there are specific references in their mini biography. Background: Robert Watson-Watt personally knew John Cockcroft at the Cavendish Laboratory, Cambridge. 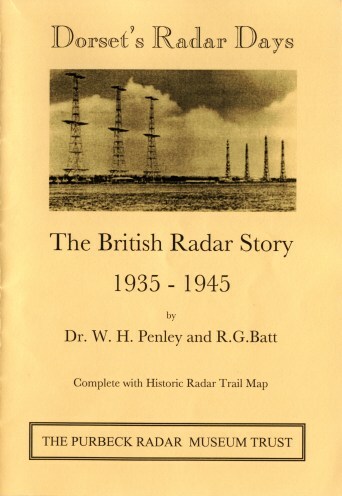 Shortly before war was declared in 1939, he persuaded Cockcroft to release around 80 researchers to visit some of the Chain Home radar stations. This was to prepare them to act as nurse maids to help keep the stations operational should war be declared. Many of these joined the radar research team at the outbreak of war. A number of the researchers later deposited papers at Churchill College, Cambridge. Reminiscences, commentaries, letters etc. by some of the wartime radar researchers which were collected by Bill Penley - some digitized on CD-ROM. Most records were systematically destroyed by QinetiQ. RRE - Radar Research Establishment, RRE - Royal Radar Establishment, RSRE - Royal Signals & Radar Establishment, DERA - Defence Evaluation & Research Agency, DRA - Defence Research Agency. In the late 1990s it was mostly privatised to become QinetiQ (www.qinetiq.com) with a skeleton part remaining in the Ministry of Defence: Defence Scientific & Technical Laboratories (www.dstl.gov.uk). When QinetiQ took over the library, almost all of the establishment's historical records were systematically destroyed. Presumably, from their perspective as a profit motivated commercial organisation, maintaining historical records represented an unwanted expense.